Sydney, May 8, 2018 AEST (ABN Newswire) - Envirosuite Limited ( ASX:EVS)( FRA:57P) is pleased to provide an update on its progress with the UK-based water utilities group Thames Water, the UK's largest water and wastewater services company. Thames Water has now committed to an Envirosuite subscription at a fourth site. Although the individual deal is on standard terms and not material to total company earnings in isolation, it serves to demonstrate the growing relationship between Thames Water and Envirosuite following the third site that was signed only in March 2018. 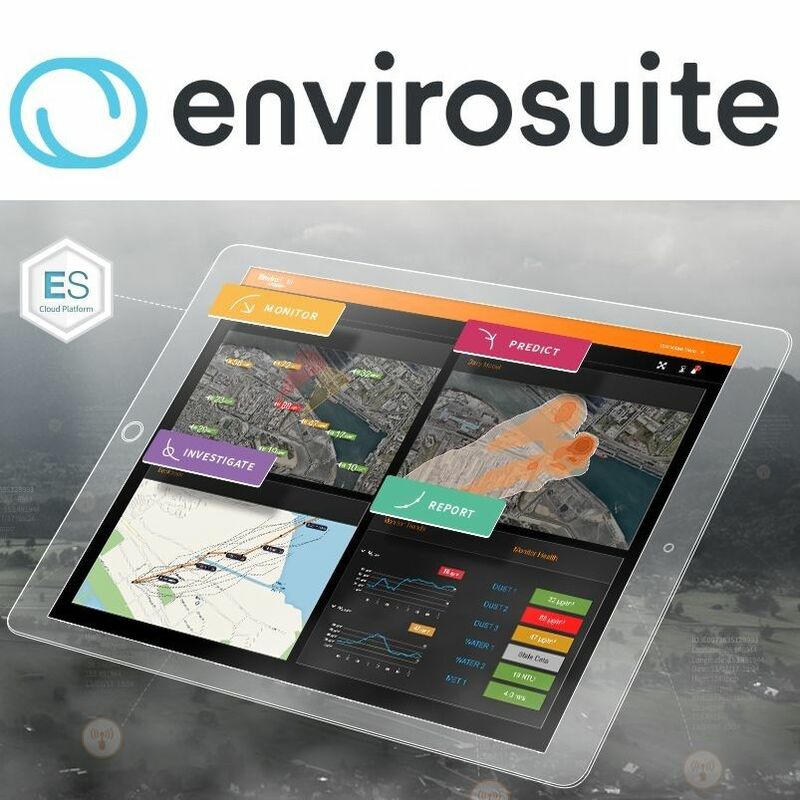 Following an initial commercial trial which completed in mid-2017 at two sites, it is encouraging to see that Thames Water is adopting the Envirosuite platform for the longer term in other parts of the business. Envirosuite is rapidly establishing its name in the wastewater industry in Europe and the Middle East and now has commercial contracts at seven sites in this region, with a growing number of other similar opportunities in the sales pipeline. Combining the Envirosuite name with the well-established ex-Odotech presence in the North American market means that Envirosuite is emerging as the leading choice for larger wastewater treatment facilities globally. Peter White, Chief Executive Officer, commented that, "Envirosuite is a natural fit for the wastewater industry. 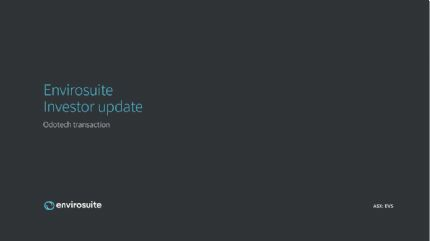 Its major needs for a real-time operational decision-support capability, together with the need to proactively manage its community engagement to ensure an ongoing social licence to operate, are requirements that match the major differentiators for Envirosuite. There are many thousands of waste water sites in our target geographies that could benefit from Envirosuite and we are encouraged by the escalating recognition and uptake of our solution."